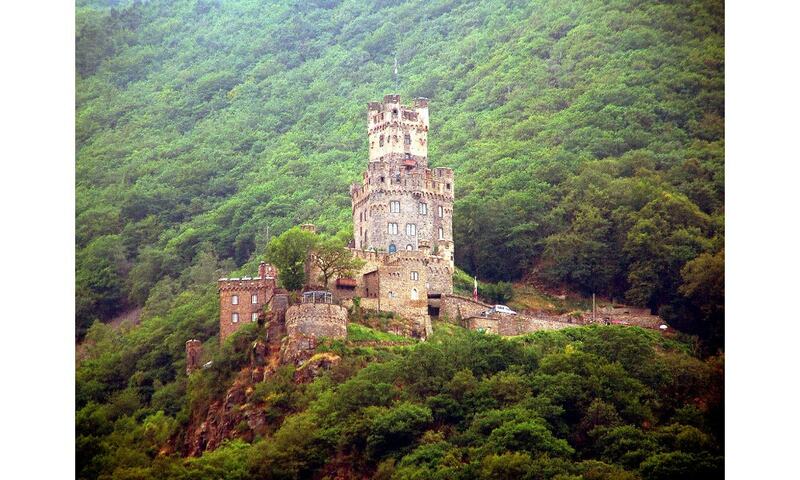 Sooneck Castle is a castle in the upper middle valley of the Rhine, located near the village of Niederheimbach between Bingen and Bacharach. Since 2002, it has been part of the Rhine Gorge UNESCO World Heritage Site. The residential areas of the castle are furnished predominantly with items in the neo-gothic and Biedermeier styles, while the interiors are enriched by paintings owned by the Hohenzollern family.